Mack Brush Series 81 SLS Brushes. 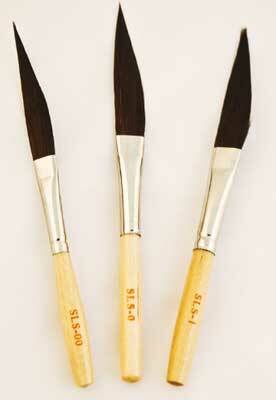 These brushes are an execellent fit for any sign painter or pinstripers kit. They are made from a mixture of Black Synthetic and Blue Squirrel hairs. 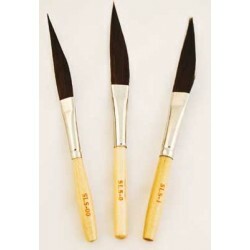 A very versatile pinstriping brush, that works in all paint mediums, but works the best with urethanes.